Is a film watched on a video screen still cinema? Have digital compositing, motion capture, and other advanced technologies remade or obliterated the craft? Rooted in their hypothesis of the « double birth of media, » André Gaudreault and Philippe Marion support cinema’s ongoing digital revolution and reaffirm its central place in a rapidly expanding media landscape. 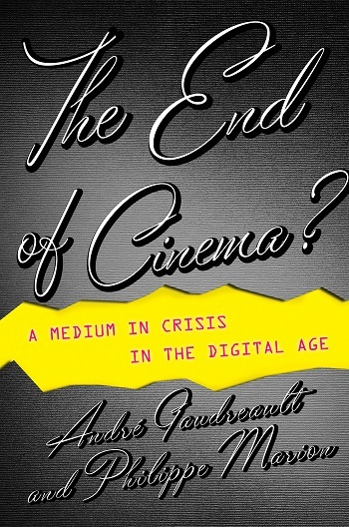 They engage with the major arguments of the « digitalphobes » who lament the implosion of cinema and the « digitalphiles » who celebrate its new incarnation. Throughout, Gaudreault and Marion show how cinema has always been a fast-evolving, dynamic art and that the digital revolution is just another disruption in the history of motion pictures, with more to come. Emphasizing the cultural practice of cinema over rigid claims on its identity, Gaudreault and Marion advance a fresh conception of cinema that better reflects its essential vitality. Ce contenu a été mis à jour le 23 juillet 2018 à 23 h 01 min.